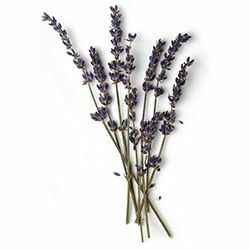 Lavender oil is antiseptic, antibacterial, deodorising and relaxing. We use lavender extensively throughout all of our ranges we find it’s an ideal oil to use on the skin and hair for its relaxing, antiseptic and soothing qualities. We use it in our Angels on Bare Skin and Fresh Farmacy cleansers, and in Love Lettuce, The Sacred Truth, and A Crash Course in Skincare fresh face masks for its antiseptic, antibacterial and soothing qualities. Our Big Blue Bath Ballistic, Sea Vegetable soap, Dreamtime and Ceridwen’s Cauldron luxury bath melts all contain lavender oil, used for its relaxing and deodorising effects. We have used lavender oil in our Dream Cream and Ultralight hand and body lotions, Vanishing Cream facial moisturiser and our Lemony Flutter cuticle butter for its antiseptic and soothing properties.